Qué es San Miguel System of Eskrima, NMODE—DSG. The system is a compilation of various training methodology learnt thru various masters of San Miguel Eskrima. A bladed or weapons based martial/fighting art steep in combative strategies/tactics, concepts, principles, history, culture and science. You will learn the ranges of confrontation, in conjunction with its training methods and applications thru the random method approach of instructions (ACADEMIC FRAMEWORK). This “random approach” actually self-discovers innovation or evolving within the traditional. This is accomplished by ESKRIMA DYNAMICS which equals EXECUTION and STRATEGIES defined in terms of (DOING THINGS RIGHT) and (DOING THE RIGHT THINGS). 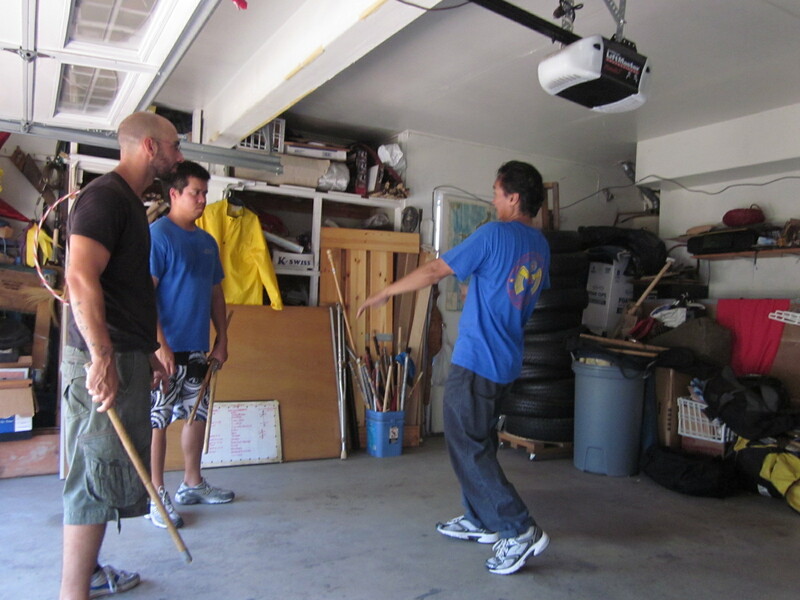 Within this framework or mindset we develop a personal or actual fighting style (ESKRIMA DEFENSE INITIATIVE *) unique within each individual’s natural abilities or capabilities, KNOWING THROUGH FEELINGS. The overall goal, marital arts skill SETS for self preservation as acquired when you train and study San Miguel System of Eskrima, NMODE—DSG………………….. Previous Article← ¿Es la violencia violenta?Eskrima views.